You wait and wish and hope and work your fingers to bloody stumps. You lose sleep, mess up relationships and avoid human contact, food and fun. You sit and sit until your love handles grab you by your throat and make you realize that you missed something. Something kinda big. Okay it's not ALL that serious but I did miss a feature by Styleblazer back in August of this year! 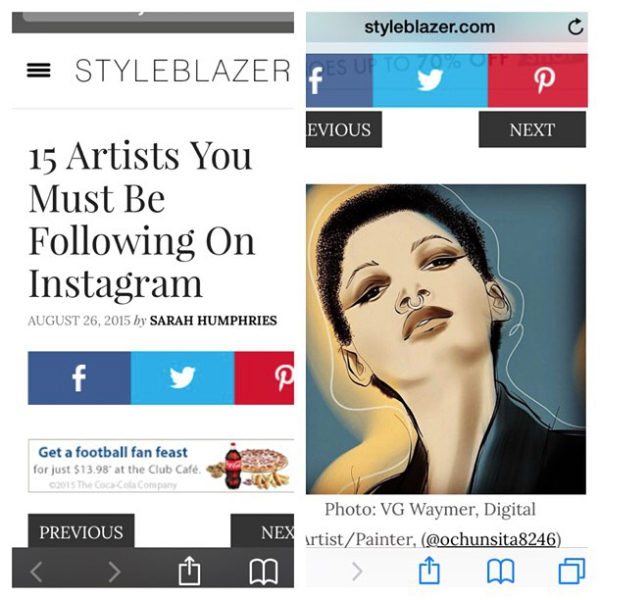 I was featured in "15 Artists You MUST Be Following on Instagram" by Sara Humphries. I love being recognized as should we all however what makes it even better is that I'd been working like I wasn't one of those 15 artists.